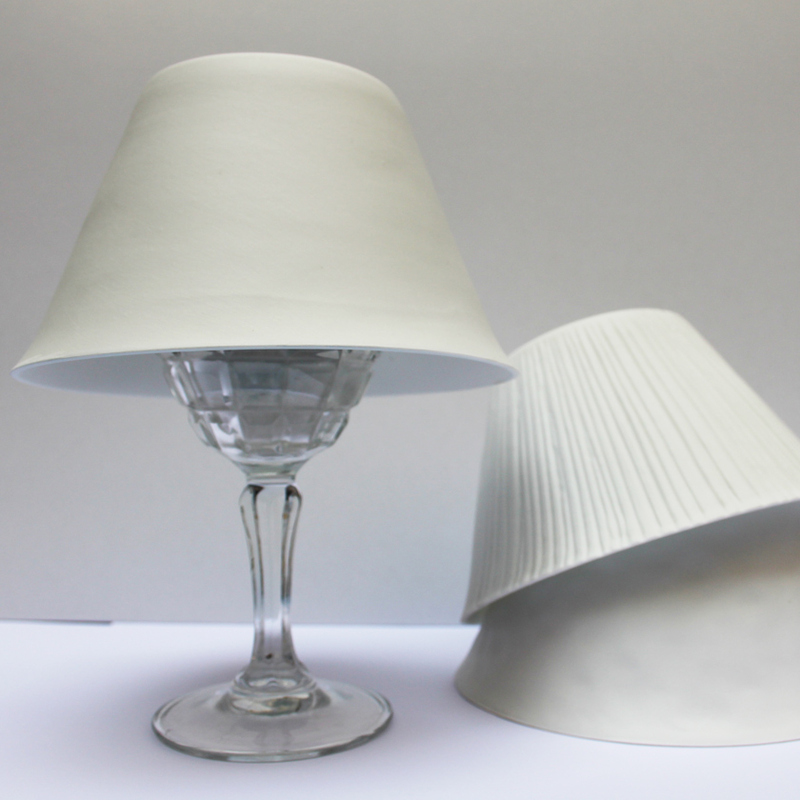 Decorative wine glass lamp shades – just add a candle! Just sit them on wine glasses and let small tea light candles glow through their fine white porcelain. Original and bound to be a talking point at dinner parties, and if you are looking for unique gift ideas these are perfect. 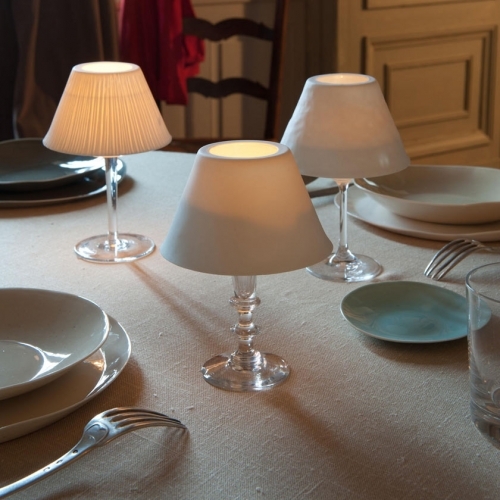 ….Use different styles and height of glasses for an even greater effect.